We don't offer one-time support, we care for you day-by-day. $ 15,000.00+ WORTH OF THEMES AND PLUGINS ON A 97% OFF DISCOUNT! Subscribe now! choose your monthly or yearly subscription. How do I renew my license? I want to upgrade from a single to a 6-site license. How can I do that? Can YITH issue an invoice for my company? Why does YITH not have a VAT number? / Why am I not able to find your VAT number? Where can I cancel my Club subscription? I don’t want to be billed next year. How can I disable this? How can I get support for a free plugin? What's your technical support like? What's about our Support Policy? The product price was a different one, but it changed when I went to checkout page. How can it be? I found your products at a cheaper price on another website. Why is this website more expensive? Can’t properly login on yithemes.com? Need help with our products before you decide to purchase them? Feel free to ask us questions in our contact page. If you bought a YITH product, please use our Support Desk. Our dedicated team is ready to help you. 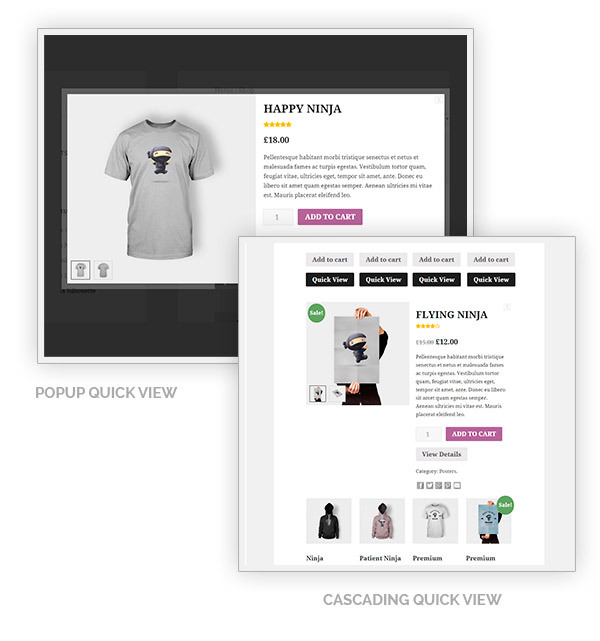 Customers opening a quick view window are more likely to buy the product they are viewing because they do not have to wait for page loading and because they do not have to surf back and forth among the pages to find the products they are interested in. 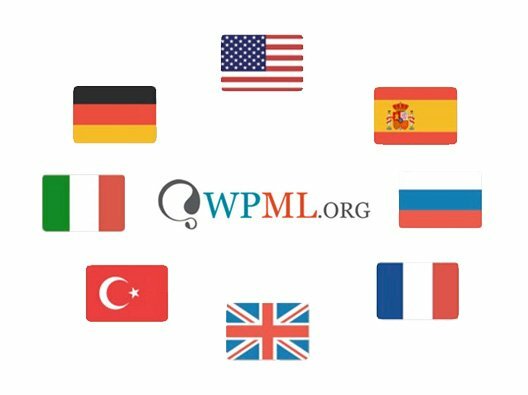 This plugin is not subject to the GDPR as it does not store any sensitive information except for the ones used on WordPress and WooCommerce, which are already handled through their software. A subscription license entitles you to 1 year of updates and support. Each installation of the plugin will require a license key. 30 DAY MONEY BACK GUARANTEE: if you are not 100% satisfied with our products, you will receive a 100% refund for any reason. Don’t lose customers because of loading times. Quick view, quick load, quick purchase! Among the many products available in a shop, going back to the one you prefer often becomes an annoying activity because it always takes too long to find it again. Being able to open a pop-up window where to see details concerning that product makes users’ task easier. And an Add to cart button is there available. The possibility to see immediately product details and magnified images of them makes users feel more comfortable with the website they are browsing and makes them also more willing to buy. 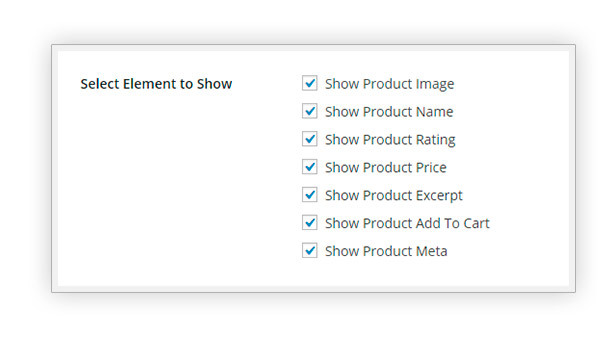 In fact, clicks before adding the product to the cart are reduced as well as server load. This way, customers do not have to wait long before the page to be loaded, because it is there, left behind, ready to be displayed as soon as it is clicked upon. 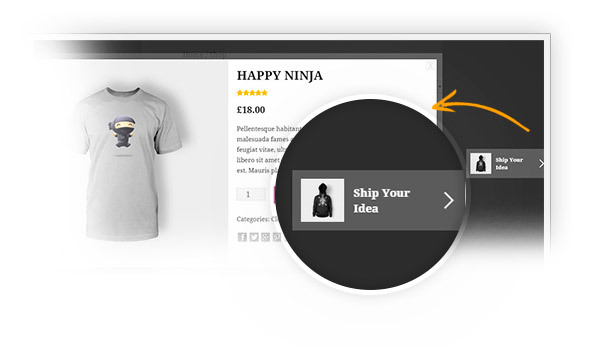 This is how YITH WooCommerce Quick View can improve sales in your website! Fix: Default value for plugin options "Modal Height" and "Modal Width"
New: Option for view full description instead of short. New: Compatibility with YITH WooCommerce Badge Management. Now badge works also in quick view. 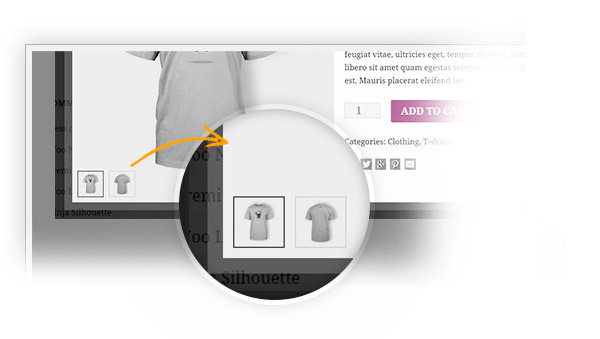 New: Compatibility with YITH WooCommerce Zoom Magnifier. Now zoom magnifier works also in quick view. 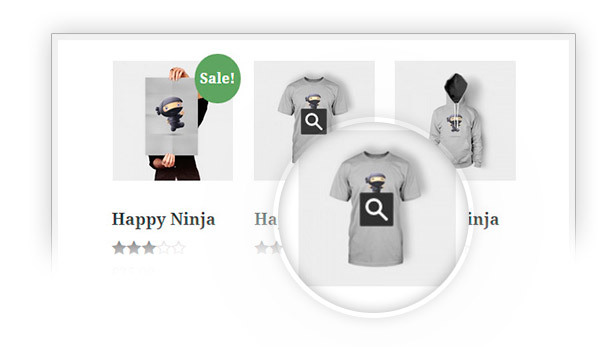 the quick view, and decide where to place it, near ``Add to Cart`` button or within the product image. 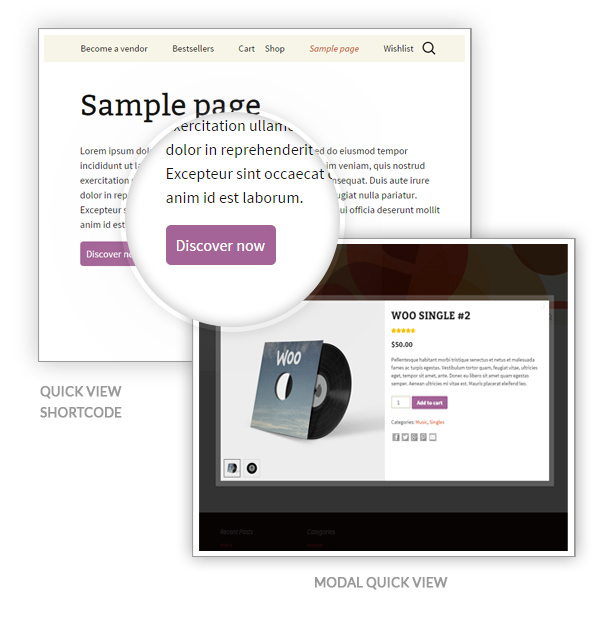 You can decide colours of the ``Quick View`` button and everything that is within the modal window. 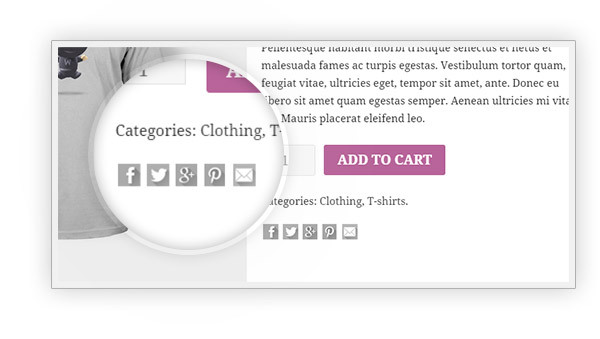 Use the available shortcode to make your users see a specific product in any page. 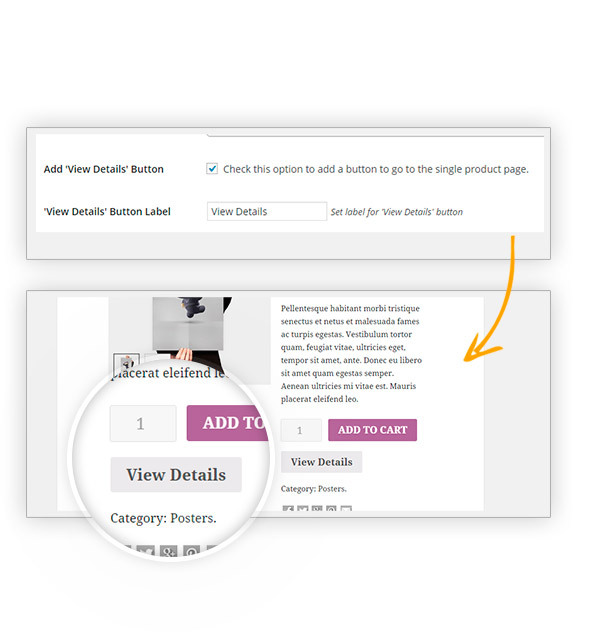 Its compatibility with YITH WooCommerce Zoom Magnifier, YITH WooCommerce Badge Management and YITH WooCommerce Wishlist lets you mix their features! Well-designedEasy to install, activate and have it to work. Style options are the features which I like most about this plugin. Recommended those who need a quick view option. Nice plugin to have, I see there ar a lot of integrations with other plugins, I will study those along the way. 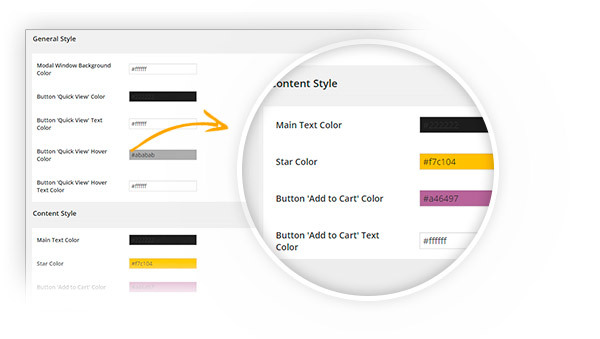 Exactly what I was looking forGreat plugin, the basic need for every webshop! The integration with Booking makes it even better. Yes, it is possible use the shortcode to print the button only. You might need to adjust it with some css rules, but nothing mayor. If you decide to buy the plugin and need help, the support team will be happy to assist you. the navigation follows the current products order in shop page, so it should work also with filtered items. Of course, if "same category" navigation is enabled, navigation will follow the category order instead of current products order. Hi, Saif! The premium version of the plugin works as you need only with our YITH WooCommerce Product Add-ons. the option is called Enable AJAX Add to Cart and you can read more about it here. Copyright 2012-2019 - Your Inspiration Solutions - CIF: B76726470 - All rights reserved.